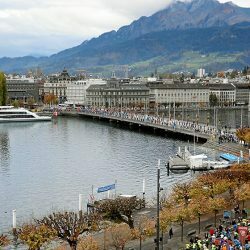 the Commonwealth Games, but he hasn’t always been the one grabbing headlines, as his Virgin Money Giving Mini London Marathon career proves, writes Ryan Goad. 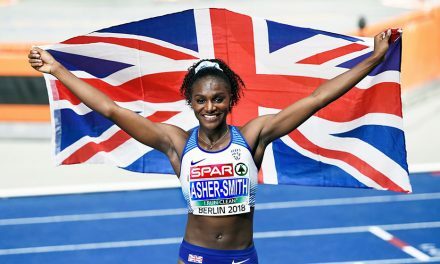 Of the six athletes featured in this series, four are in the middle-distance fields at the Commonwealth Games on the Gold Coast. And of those four, Wightman is the only one who does not have a top 10 Mini Marathon result on his CV. 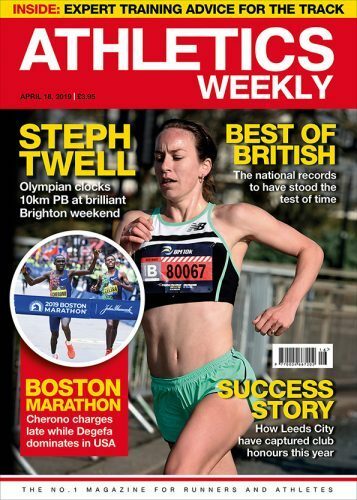 Laura Weightman and Chris O’Hare both had fifth-placed finishes in the Mini London Marathon, while Ciara Mageean won the event in 2009. 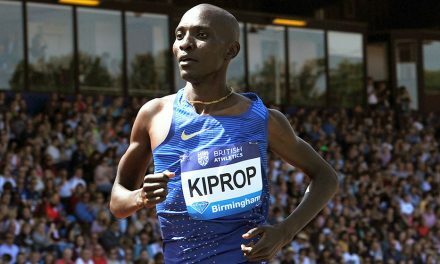 Wightman’s best result was 21st in the under-15 boys race in 2009 when he was more than a minute down on the winner and only the third Scottish counter on the day. 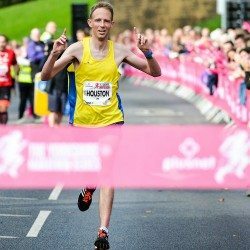 But for the Edinburgh AC athlete, this proves results at junior level do not have to be the be all and end all – and he wants all the younger athletes preparing for this year’s Virgin Money Giving Mini London Marathon on April 22 to remember that. “I did it twice in the middle age groups (under-15s) and, at that age, I was not very grown up and I was just swallowed up,” Wightman recalls. “But that was as good as I could have run on each day and that’s what is important, just being involved. 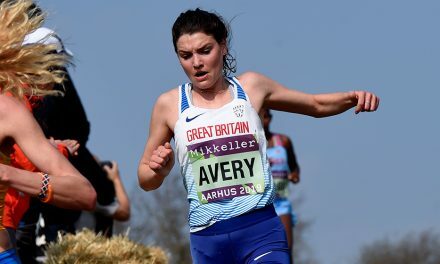 “My advice to anyone running this year is: You don’t get too many opportunities tovrun in events like the Mini Marathon and it doesn’t matter where you finish, you just have to enjoy it. It’s all about the long-term and staying in the sport beyond the junior ranks. 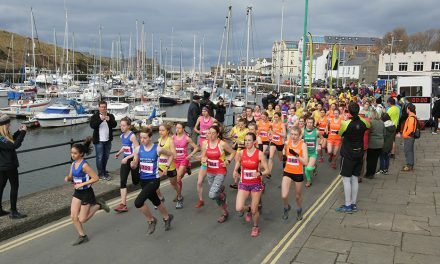 Wightman recalls being slightly awe-struck at his first Mini Marathon in 2008 having spent the majority of his junior career racing in Scotland. “We used to go down to London and not have a clue who anyone was,” Wightman said. “We were a bit sheltered. For us to come as far south as London and be part of an event like the London Marathon, it was awesome. It was a proper occasion and a great race. “I can remember the races being typical races for that age. Everyone went off so hard and I would have been with the masses. I can remember the atmosphere being special, going past some of the drumming bands and then finishing in front of the crowds on The Mall. 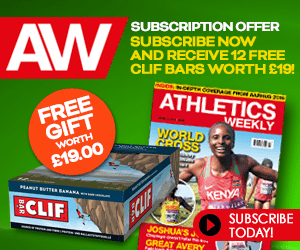 As most keen athletics fans will know, Jake’s father Geoff – who is also his coach – is a commentator and race announcer. He has been announcing the start of the London Marathon for many years. Older athletics fans will also know that Geoff wasn’t a bad athlete in his day either, with a sub 2:14 marathon to his name. 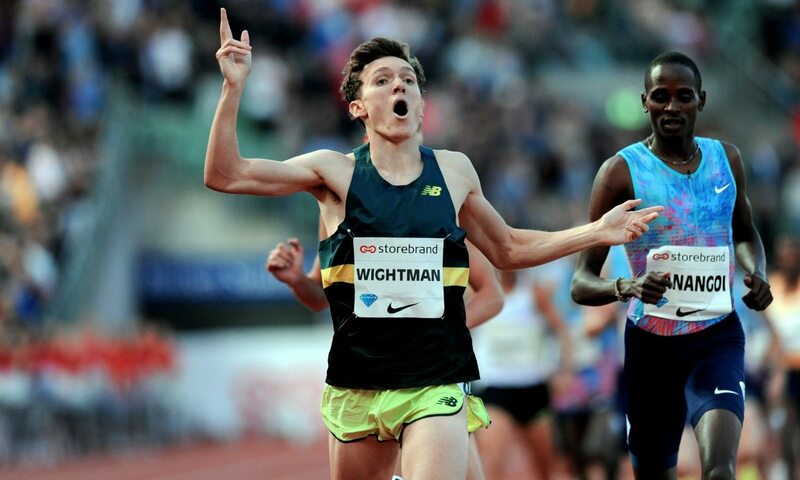 “I was quite lucky because I got to fly down to London from Scotland with dad,” said Wightman. “The first year I stayed at the Royal Holloway with the rest of the teams and then the second year I stayed at the race hotel which was fantastic. 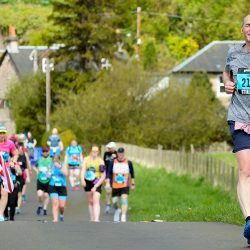 Although Wightman Snr never commentated on his son at the Mini Marathon, it has now become a common occurrence around the world, including at last summer’s World Championships in London. 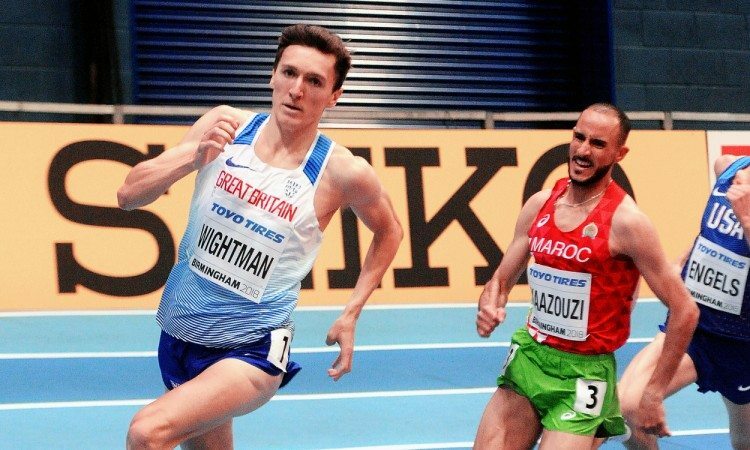 If Wightman’s ambitions are anything to go by, there will be many years yet at the sharp end of world middle-distance running before he starts to look back to those good moments. 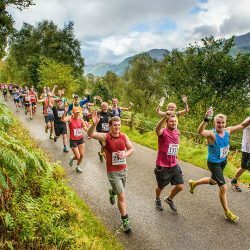 And that might include doing the full Virgin Money London Marathon at some stage.